Ann Maria McCorvey went missing in Detroit June 21, 1981. Her body was found June 26 in the trunk of her car. According to her sister, she had been stabbed multiple times with an ice-pick and her purse was never found. Ann Maria Calvey was born in Scotland, Nov. 17, 1948. 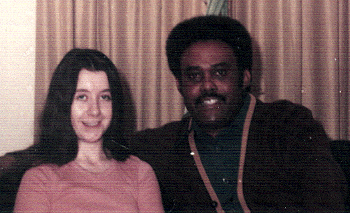 She married John Preston McCorvey in England Sept. 2, 1971. McCorvey had left the U.S. Air Force after 20 years of service and the couple returned to John’s hometown, Detroit, in 1972. John subsequently remarried and moved to Oakland County. He died in 1989. Posted on Thursday, December 26th, 2013 at 3:01 pm. Last updated on Friday, July 4th, 2014 at 3:07 pm.